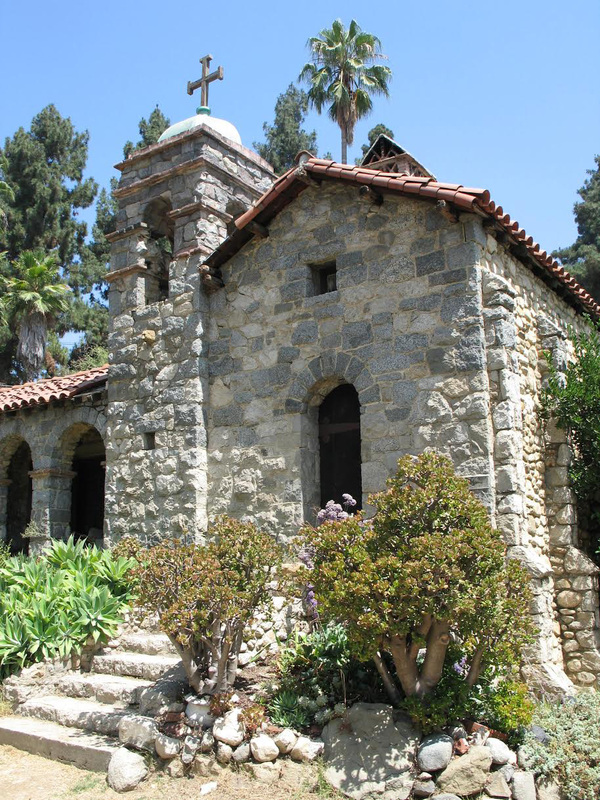 Please join the Highland Park Heritage Trust as we celebrate our 35th anniversary at the historic Abbey San Encino. This day long celebration will feature live music, refreshments, a local artisan fair, silent auction, and tours of the historic home including its notorious "dungeon." Tour Tickets are limited – buy your timed ticket online in advance. The Artisan Fair features local artists' booths including Adam's Forge with Heather McClarty, painter Roderick Smith, locally-made gourmet items by Jenkins Jellies, Glass Studio's Cathi Milligan, vintage lighting fixtures by Character Projects, Mexican crafts from Rosamaria Marquez, ceramic artist Cathy Akers, paintings by Stephane Kardos, and more. Live Artist Events include demonstrations by Adam’s Forge with blacksmith Heather McLarty, and live performance painting by artist Roderick Smith. Live Music by talented local artists. Stump Speeches include presentations on Arroyo Seco Culture by historian Charles Fisher. The Silent Auction will offer the opportunity to bid on items donated by local artists like a Victorian dog house and unique experiences like a Bob's Burgers care package and office tour. Docent-led tours of the inside of the Abbey start every half-hour and will include the Clyde Brown printing studio and celebrated Judson Studios stained glass window, the Abbey replica, and basement “Dungeon.” The Abbey San Encino is a highly unique structure built of local Arroyo stone that is as much a testament to its builder & the Arroyo Seco Culture as it is a home. The property is still owned and occupied by descendants of Clyde Browne. Click here to learn more about the Abbey San Encino. We will gather under the large tent for a wine and cheese reception with music and a special 35th anniversary presentation. Silent auction winners will be announced.